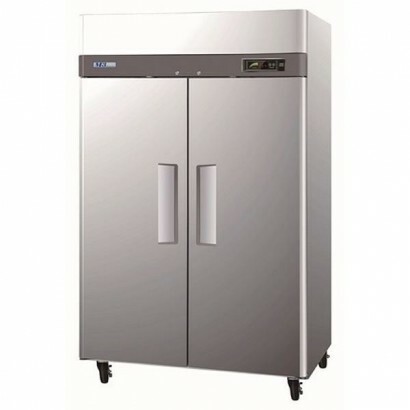 The Turbo Air KUR9-1 Single door fridge counter is a compact counter perfect for small spaces. This .. 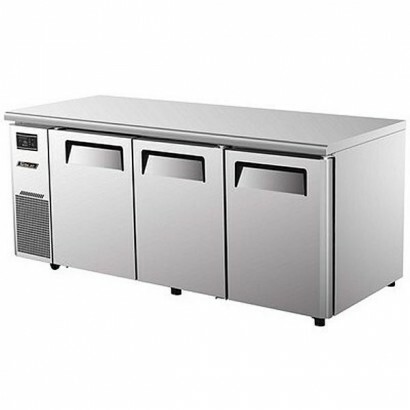 The Turbo Air KUR12-2 double door fridge counter is a compact counter ideal for small spaces. With i.. 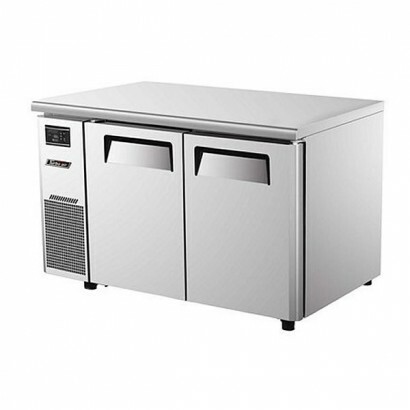 Turbo Air KUR12-2 double door freezer counter has a full stainless steel construction, excellent ins.. 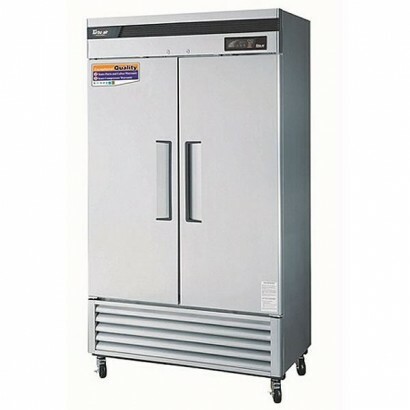 Suitable for fresh meat and general produce this storage fridge is ideal for high usage catering env.. Product Information External Dimensions: H 2113 x W 685 x D 770mm Standard Delivery: 3-5 Wor.. The Turbo Air KUR18-3 3 door fridge counter has a full stainless steel construction with excellent i.. 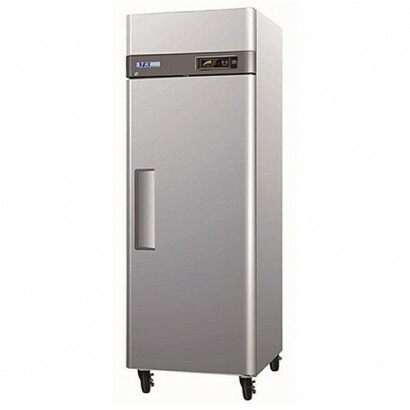 The Turbo Air CTSF-23SD single door storage freezer has a sturdy full stainless steel construction, .. 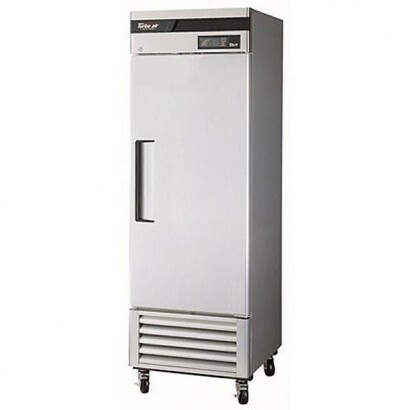 The Turbo Air KUR18-3 3 door freezer counter has a full stainless steel construction with excellent .. 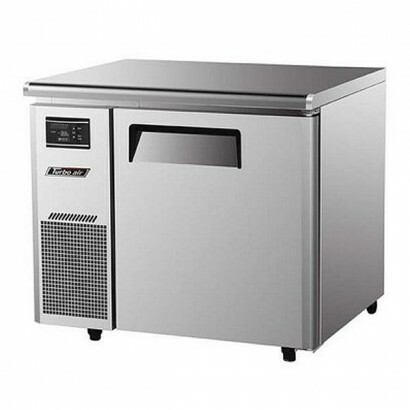 The Turbo Air M3F24-1 single door gastronorm freezer has a full, high quality stainless steel constr.. The Turbo Air CTSR-35SD 2 door service cabinet has a full stainless steel construction, bottom mount..
With a full, high quality stainless steel construction, fitted door lock, castors, and interior ligh.. Product Information External DImensions: H 2113 x W 1003 x D 770mm Standard Warranty: 2 Year..